I’m so embarrassed to show you what I have in my pantry but I can’t always show the good and leave out the bad. I must be honest with you. I have not been so good lately. The added stress of being a new mom has caused me to put my health second. I have been feeling a little bit below ok. It hasn’t been too bad except for one giant attack that I had last week. It was hard to breathe, hard to lie on my back, and hard to walk. My husband had to move me around. Stupid lupus! I hate you!! But other than that attack, I’ve been feeling pretty normal for the most part. My blood tests show a totally different story. It shows inflammation all over the place. It shows I’m anemic. It shows a bunch of stuff that I don’t really understand yet but I know it’s bad. It’s basically saying the lupus is having the time of its life in my body. I’m a strong girl so I hardly ever show symptoms until it’s too late. So I’m glad I saw these results. Apparently I’ve been eating really unhealthy. I didn’t think I was. I thought I was doing a great job. I wasn’t consuming gluten or any of my allergens. I was trying as hard as I could to eat clean. I had oatmeal with almond milk and honey for breakfast. I drank vegetable and fruit juices as snacks. Lunch consisted of brown rice or quinoa and chicken. And dinner was a good salad with the works, onions, red peppers, nuts, and a bunch of other stuff. Sometimes I’d snack on homemade rice cakes, a handful of almonds, or gmo-free tortillas. Looks good right? The answer is a big fat NO! My body can’t handle all those grains all the time. I had grains at every meal, every day. I also added little cheats here and there. At first I added a cheat treat once a month. Then it turned into once a week. 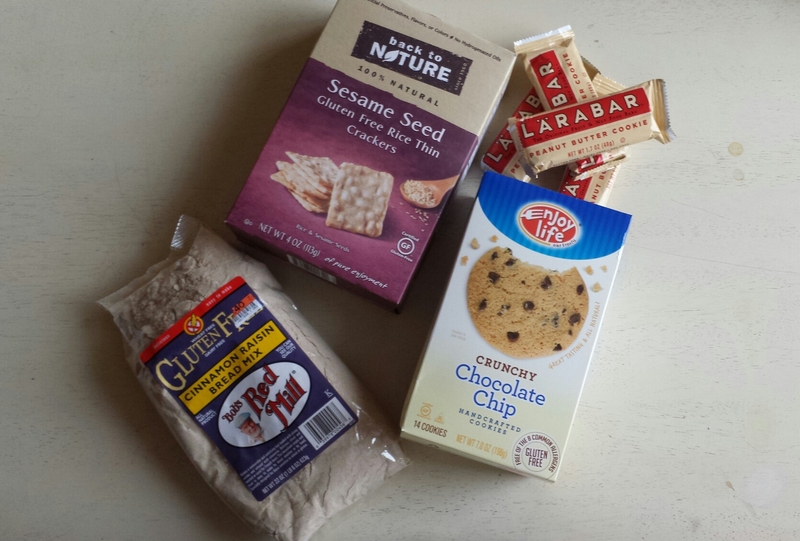 I hadn’t noticed, til I saw those tests, that my pantry was now overflowing with garbage gluten-free food. I had gluten-free crackers, cookies, brownies, cereal, and other snacks. You know for those just in case moments. They were originally intended for my little boy to take to school but whenever I was hungry I’d grab a handful too. Just because it says gluten-free doesn’t mean it’s good for you. I know that. But being so busy with the little ones made me completely ignore that fact. I can now relate with moms who find it hard to eat healthy. But it’s still no excuse. When you’re sick in bed, the disease won’t care that you were too busy to eat right. You must maintain the control. None of us are perfect. We all make mistakes. Life is all about failing and trying again. I’m getting back on the horse. Not because it’s a new year but because I want to live and be healthy. I went to my doctor’s office on Monday and she basically told me if I didn’t get my act straight I was wasting my time, her time, and a crapload of cash on her visits and supplements. She didn’t really say that but I made myself hear that so I could get it together. She put me on a strict 30 day diet of vegetables and protein to re-heal my leaky gut. I am on my 3rd day of no grains and I can’t believe how bad my cravings are. I want a big bowl of white rice today. I walked by a tin of soda crackers at the supermarket and imagined eating them with cream cheese and jelly. Mmm. NO Janeris, Stop that! When I first started this healthy change, I did these 30 days and removed my cravings completely by eating this way. The no-cravings thing lasted a really long time until I discovered I could cheat and just deal with a slight headache or joint pain as a consequence. As I consumed sugar or grains, I wanted more and more. I am now a full-blown grain addict. I must detox from it to remove the inflammation again. I’m having a hard time but I know it will get better in the coming weeks. I see my rheumatologist tomorrow and I know what he will recommend. He’s going to want to pump more prednisone in my body. I’m going to beg for a chance to prove myself for 30 days. If my blood tests don’t improve by next month, I’ll consider raising my dose of lupus drugs. But I know exactly what food can do so here’s my chance to prove myself again. Here’s to eating meat and vegetables for breakfast. Yuck! I mean yuummmmm!